for plug in to existing sites. This shopping cart will plug into your existing web site without changing the look and feel of your site. 1. The shopping cart buttons can be customized to the look of your web site. 2. This cart will allow you to add color, size , and up to 9 different options to your cart. We will design a custom shopping cart to fit the needs of your business. This shopping cart will work as a form to e-mail system and allows you to add a more personal touch to your online business, This system will collect all products that your client would like to purchase and allows them to check out securely without security worries. 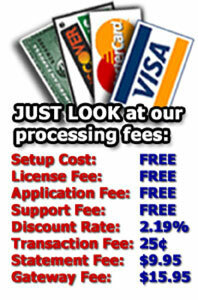 We will provide you with a merchant account. Or you can use any merchant account you already have all are welcome as long as they are e-commerce friendly. You can use a gateway for hands on processing or you can use automated billing. Richway Technologies, Inc is an authorize.net representative. We will work on any shopping cart that will satisfy your requirements.